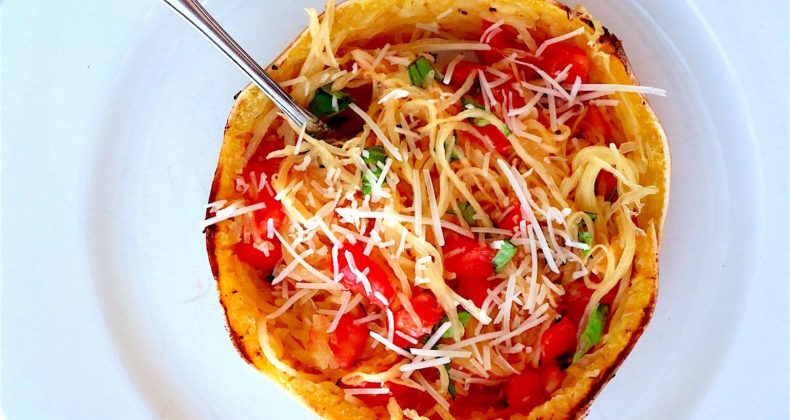 Spaghetti Squash + Bruschetta is a wonderful way to bridge the gap between Summer and Fall. September is the perfect month for basil and tomatoes bursting with flavor AND the introduction of squashes at the farmers markets. 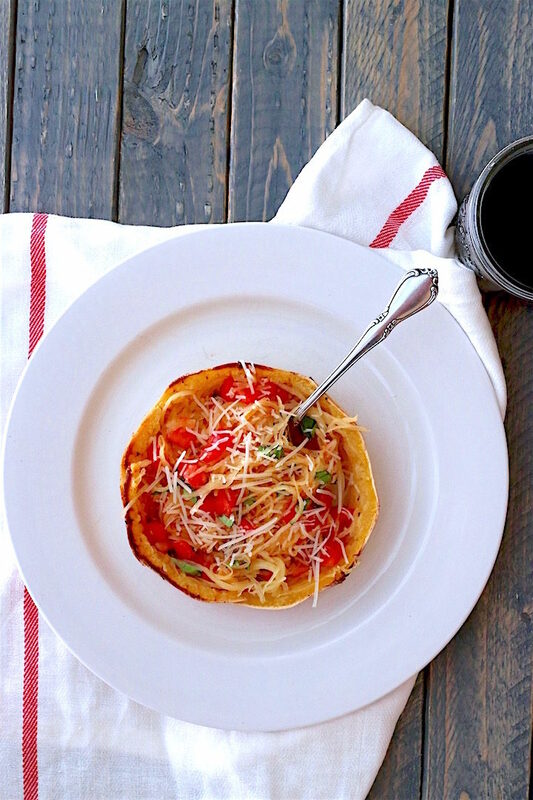 This dinner is the PERFECT gluten free, low carb, Whole30, paleo friendly meal. The way I cut this spaghetti squash is different that what you are probably used to. Instead of cutting it down the long way, or hotdog style, I cut it the short way, hamburger style. This allows the spaghetti squash to be more spaghetti like. The strands of the squash grown around instead of up and down so by cutting it the short way you get perfectly long strands of the squash. It also makes for a cute way to serve them. Pour yourself a glass of red wine and enjoy the summer-to-fall transition. What is your favorite Summer to Fall produce?